Damaged Tooth? Your Dentist Can Save It! Do you have a severely damaged tooth causing you grief? You may be tempted to have the tooth extracted to eliminate the problem. Although it seems like a simple and easy solution, it is best to visit your dentist to save your tooth. Every tooth serves an invaluable role in your oral health and functions. When even one is missing, several new complications develop, like decreased bone density and even additional tooth loss. To save your smile, visit your restorative dentist right away. There are several solutions to repair your tooth. When you lose a tooth, the lack of a root causes your underlying jawbone to deteriorate. You can lose as much as 25% of the alveolar bone’s width in just the first year. Over time, its height, width, and volume can decrease by as much as 4 millimeters. Although this may seem small, it causes changes to your facial structures, like a sunken aged appearance, but it also leads to oral health complications. The decreased bone density causes your remaining natural teeth to lose support. They begin to shift toward the open space, creating alignment and bite issues that increase your risk of tooth decay and gum disease. As time passes, your remaining teeth will become loose and eventually fall out. With each tooth you lose, your ability to perform simple oral functions, like chewing, decline. This can cause you to limit your diet because certain foods become too hard to chew. As a result, you can develop nutritional deficiencies that hurt your general health. To prevent the complications of missing teeth, your dentist uses all viable treatment options to save your tooth, like root canal therapy. This is an endodontic procedure that extracts the inner layer of your tooth, known as the pulp. This is needed to stop the infection and pain, while preserving the remaining structure of your tooth. Your tooth is then sterilized and sealed before a custom-made crown is placed over it. This restores its health, function, and appearance to allow it to stay in place for many years with the right care. 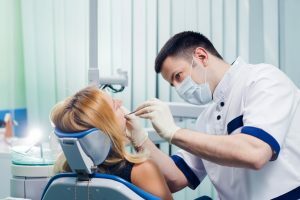 Despite several advancements in dentistry, there are times when your dentist cannot save your tooth, such as a large break or fracture that affects the root. After careful consideration, your dentist may determine that an extraction is the best solution. If you need to have a tooth removed, it must be replaced. Although there are several prosthetics, dental implants are the ideal treatment. They replace both the root and crown of your tooth to preserve your jawbone’s density. This prevents the complications of tooth loss while also giving you the next best thing to your natural tooth. If you have a damaged tooth, do not have it pulled. Instead, visit your restorative dentist right away to save your smile. 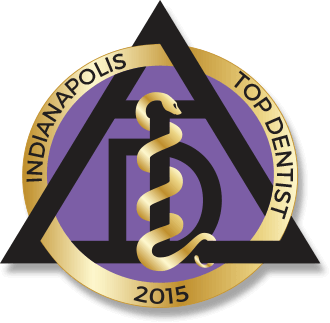 Since 1982, Dr. Mark M. Farthing has provided comprehensive dental care to the community. In addition to preventive services, he can rebuild your smile with restorative dentistry. He can save damaged teeth or replace those that have been lost using the latest treatment options. Contact our office today to schedule your consultation to learn more about your options to save your tooth. Comments Off on Damaged Tooth? Your Dentist Can Save It!